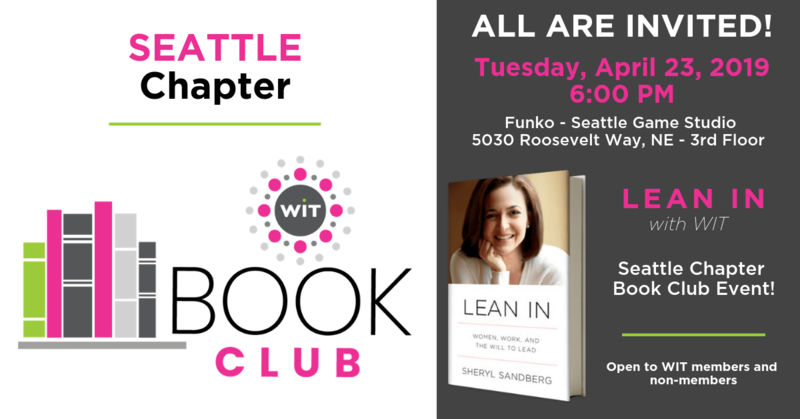 Lean in with WIT at our first Seattle Chapter Book Club event! We'll be discussing LEAN IN by Sheryl Sandberg. Whether you've read the whole book, part of the book, or just want to come for a night of fun and inspiring conversation... we hope you'll join us! Ticket price includes beverages and nibbles. COST: BY APRIL 12: $10 Members / $15 Non-Members. AFTER APRIL 12: $15 Members / $20 Non-Members.